I can't wait to see what you have been making! Calling creative people from all areas. Do you paint? Are you an artist? Do you Sculpt? Do you Quilt? Sew? Floral Arrangements? Pretty Finishing Touches like tablescapes? A certain way that you decorate? Refinish furniture? Re-purpose items in a creative way? Whatever you talent may be please share so we all can see! 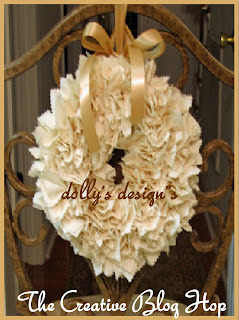 Now for this Blog Hop Share your creative handmade items! Include pictures. In fact if pictures of your creation are all you wish to share then by all means do so. On you post that you add or link back here so that others can see and come back to blog hop. Your blog will be listed in the Creative Crafters' List on the right side bar when you link a post. If I forget to add please let me know. We are continuing on with the Super Sculpey Face Sculpting Series by Jodi Creager of Creager Studios. I hope you are enjoying this as much as I am. 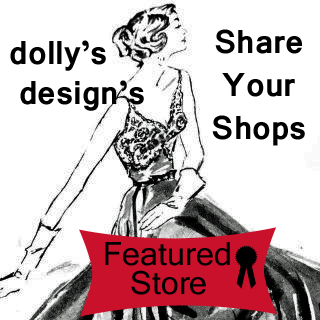 Shop Owners if you haven't shared your shop yet please do so we'd love to have you! The new Share Your Shop link will be up until May 1st then we will put up a new one for the month! Calling creative people from all areas. 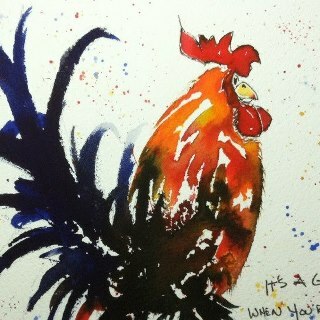 Do you paint? Are you an artist? Do you Sculpt? Do you Quilt? Sew? Floral Arrangements? Pretty Finishing Touches like table scapes? A certain way that you decorate? Refinish furniture? Re-purpose items in a creative way? 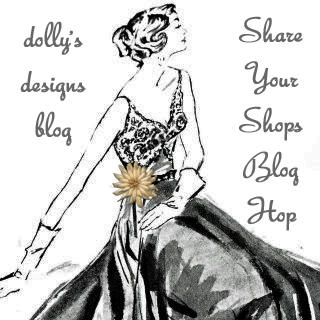 I would like to apologize to those of you that have tried to link your shop up to Share Your Shops Blog Hop. It is up and running live again. The technical problems are fixed now. Throughout each month I will feature stores. 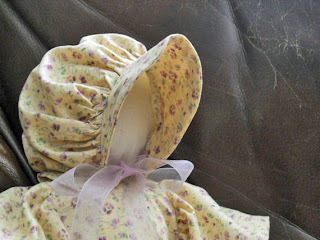 Michele is a very talented person, quilter, teacher, doll & soap maker among other things. Thank you Michele for sharing your shop! 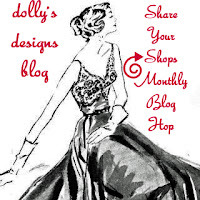 Now this is a linky party to Share Your Shop so please do so. You may link up again if you wish since this month's link is in two parts. 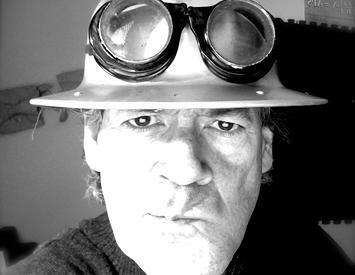 This link below is of a recently made friend with so much talent. I am so impressed with her talent. I sculpt in the same way she does but in no way do I have the creative ability to create as she does. 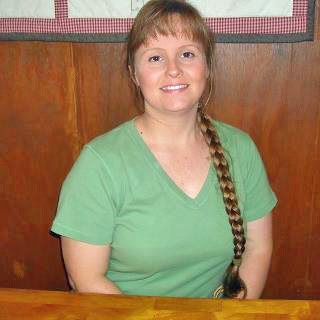 She and her husband are doll maker/creaters. Jodi and her husband Richard. My husband Richard and I are Professional Full Time Artists/Sculptors of Art Dolls and Miniatures... since 1977. Love and Humor have kept us working side by side and Happy for the last 37 + years. We live in the Arizona Desert with our Puppy Tess. We love our kayaks and our Tipi. It seems that she comes from a very talented family. I found her videos while searching You Tube for sculpting videos. I do not like to be in front of the camera so I lucked up and found someone that sculpts the way I do on You Tube. She has done the filming and I want to share it. It is so easy and so rewarding to sculpt a face that looks human. The fun part is that they are as individual as humans themselves. Well I have to add this statement for sure: After researching Jodi and her husband Richard Creager, I found that they are renowned Art Doll Makers. They have been doing it since 1977. I did stumble upon great talent to share with you. I am meeting new friends and seeing how talented you are indeed. Are you enjoying the crafts, items shared? 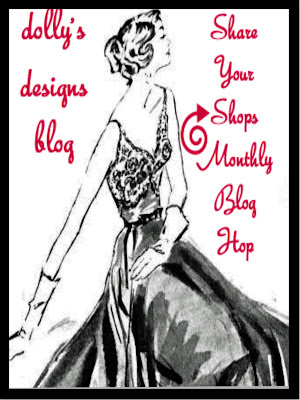 I will run the Share Your Shops Blog Hop once a month. If you haven't had a chance to add your shop please feel free to do so. Create, Share, Visit others, Learn, Enjoy. Artists of all kinds, sewers, quilters, needleworkers, knitters, crocheters, jewelry makers, painters, sculptors, folk art, primitives, vintage, repurposers, diy, floral arrangers, anything you make with your own hands can be shared! Come join us today! I ministry within the realm of: interruptions, availability and spontaneity are all real should be figure into the mix and make for fresh relevant outcomes." Click HERE to read entire post and see video. Welcome to the Very First Share Your Shop Blog Hop! 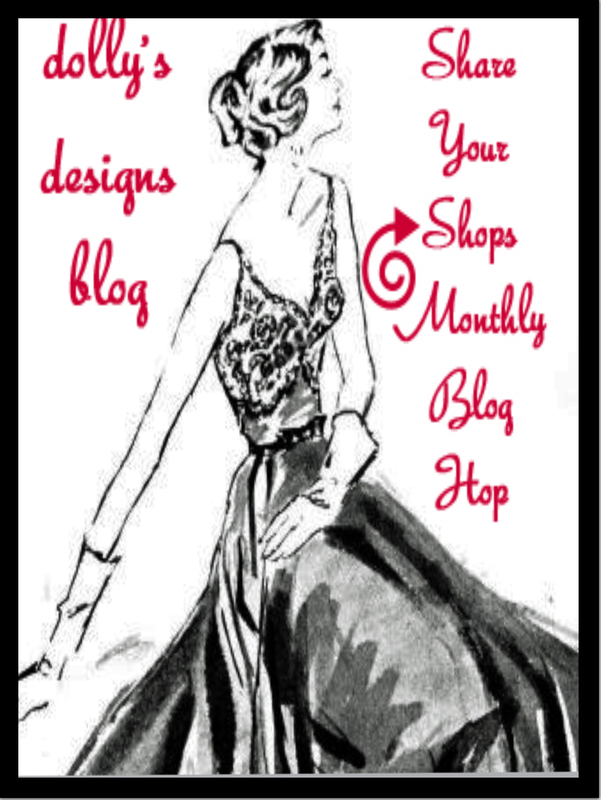 This Blog Hop is for your SHOPS only. Not for mass produced manufactured goods. I'm excited and hope you are too. Browse around like and favorite the shops let them know you like their products. Enjoy your window/online shopping experience. Meet new friends. My shops are pretty scarce at the moment but working on restocking them soon. Don't forget about the Creative blog Hop still going on.